In the year 1375 AD, the Ming Empire has forced the Yuan dynasty north of the Great Wall in what is now known as China. The warring has heightened tension throughout the region with suspicion and threats around every corner. The kingdom of Goryeo (ancient Korea) is also at odds with Ming following the assassination of King Gong-min as well as emissaries from the Empire. In an attempt to reestablish peace between them, Goryeo sends a special envoy to Ming, yet upon arrival they are accused as spies and sent into exile. 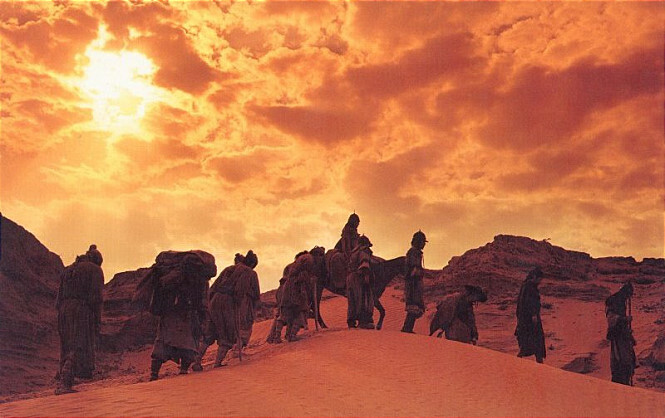 As the emissaries traverse the scorching desert, their caravan is attacked by Mongolian warriors, who free the Goryeo delegates and leave them to their fate. Taking command, Royal Guard General Choi Jung (Joo Jin-mo (주진모) leads the party, as well as a band of conscripts headed by Jin-lib (Ahn Sung-gi (안성기), out of the wasteland with the intention of journeying back home. 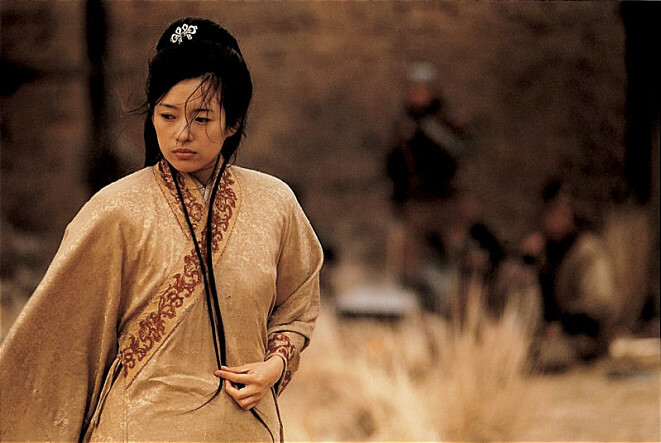 However upon arriving at a frontier outpost the General notices that a band of Mongols have abducted a Ming princess (Zhang Ziyi), while a personal conflict reveals a former Goryeo slave named Yeo-sol’s (Jung Woo-sung (정우성) phenomenal fighting prowess. The General decides that the only way back home is fight alongside the rag-tag group of warriors and rescue the princess to restore the relationship between the two nations, yet completing the task will be far easier said than done. 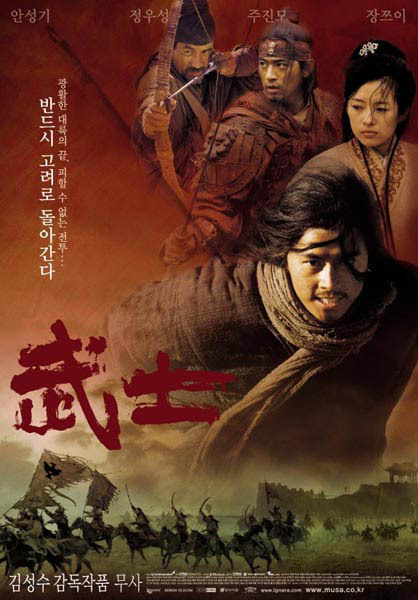 Shot entirely on location in China, director Kim Sung-su’s historical epic Musa – The Warrior was the most expensive Korean production at the time of inception. Featuring an all-star cast from the peninsula as well as Chinese actress Zhang Ziyi, who at the time was a hot property following her turn in Crouching Tiger, Hidden Dragon (2000), Musa generated an enormous amount of hype prior to release which translated into invitations to a score of international film festivals, yet something of a lukewarm reception during its box office run at home. Musa is perhaps best described as a wuxia western and as such stands out as a unique entity in Korean cinema. The large budget has been effectively applied onscreen with the stunning cinematography consistently captivating, particularly when filming the great number and range of landscapes involved, which capture the inherent dangers of traversing the Chinese wilderness during the era. Yet on a smaller scale the acute attention to detail is also impressive, with the costumes of each protagonist meticulously precise and adding a keen sense of authenticity to the proceedings. Such credibility is also extended through the action sequences. 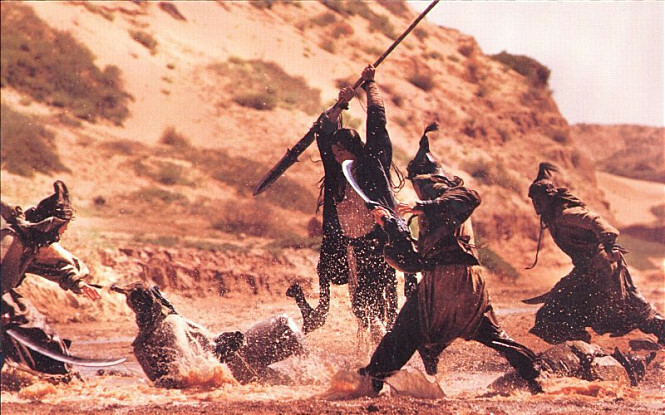 While a far cry from the elegance of other martial arts epics, Musa is effective in portraying a more realistic depiction of conflict by revealing the sheer brutality of war and murder through some particularly bloodthirsty moments, scenes which are certain to please fans of the genre and are certainly not for the squeamish. However while Musa is an epic in an aesthetic sense, the script doesn’t match the visual ambition. The story and characterisation are far too simplistic and underdeveloped for such a saga and as such it’s difficult to fully invest with those involved or the odds they face, save for the fact they are underdogs. There is also a high degree of repetition, as the delegation march through an inhospitable environment before battling an enemy, then traverse a different hostile region and engage in another assault, and so on. Coupled with a running time of over 2 hours, Musa ultimately sinks into tedium, especially in the later stages. As characterisation is an issue, audience alignment is primarily formed through the star power each actor brings to the narrative. The most successful in this endeavour are Ahn Sung-gi as conscript captain Jin-lib and Joo Jin-mo as General Choi Jung. Their quarreling regarding the correct course of action provides the greatest insight into the motivations within the party, with tantalizing hints at greater development that are never capitalised on. The greatest waste of talent applies to Jeong Woo-seong and Zhang Ziyi who are woefully underutilized throughout the film. Aside from phenomenal fighting skill and spoilt pouting, the pair rarely fulfill any other function which is a great shame considering their abilities. Musa – The Warrior stands out in Korean cinema as an interesting wuxia-western fusion, one which is consistently stunning due to the visual ambition of director Kim Sung-su. Yet aside from featuring impressive attention to detail and kinetic action sequences, the overly long narrative doesn’t match the epic qualities of what’s onscreen while the A-list talent is woefully underutilized, resulting in an entertaining though uncompelling action-adventure.